Here comes the third pillar...of the chat world...which is a very healthy one, since, minimal amount of tamarind is used, and dates and raisins which are rich in iron contribute to the lovely color and texture of this chutney. 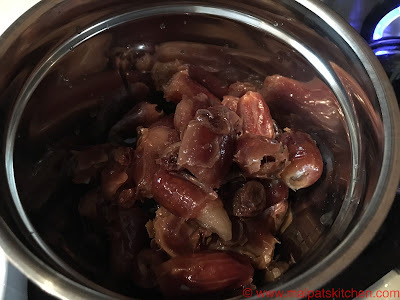 Many people call this chutney as "Tamarind date chutney"...but I don't, since tamarind used is very very less. Also, I do not add any dry ginger or chat masala to this chutney...I just let the flavors of date and raisin reign supreme!!! 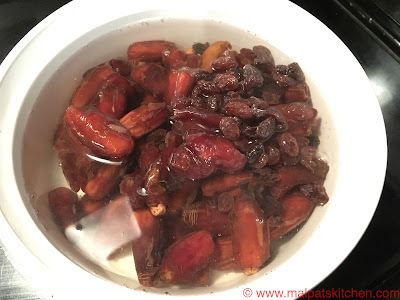 Dates and raisins soaked in boiling hot water for 2 hours. 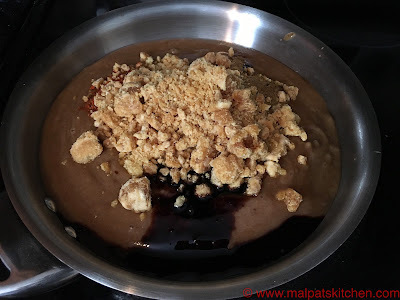 Then drained, and loaded into the blender jar, and ground to a smooth paste. 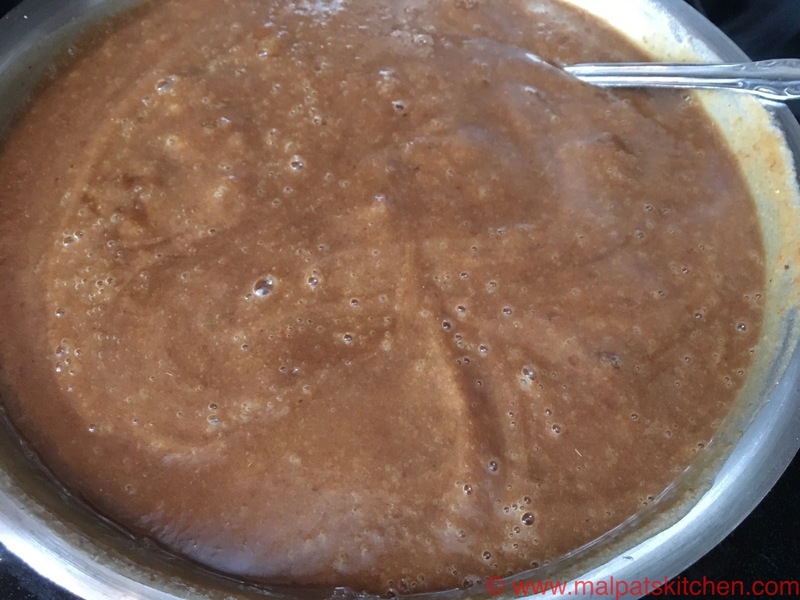 Many people say, they strain this paste. I don't. Why should we?? We will lose all the nutrients by doing so. I believe in preserving the nutrients to my best ability. 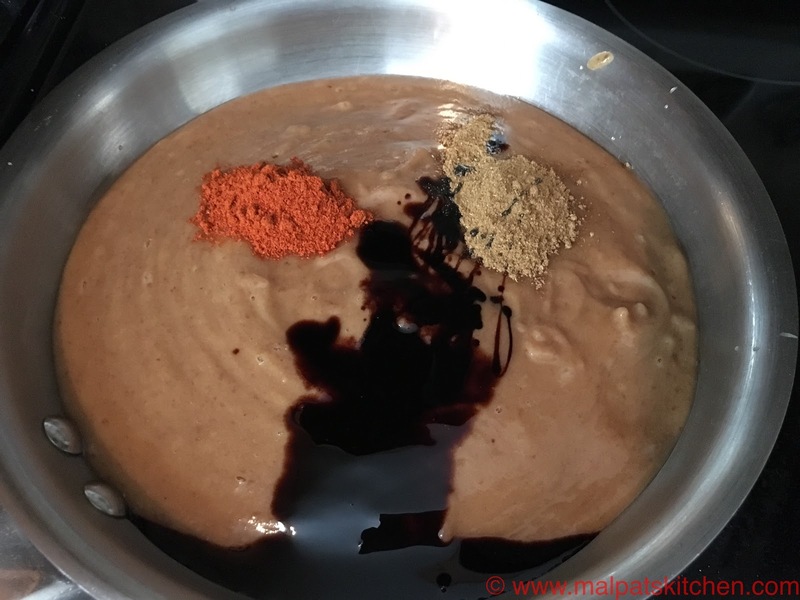 Chilli powder, roasted jeera powder and tamarind paste added and allowed to simmer. 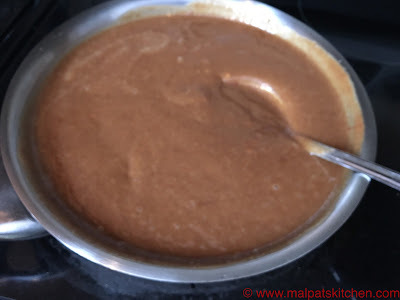 It slowly thickens to a smooth puree, jaggery would have fully melted by now. 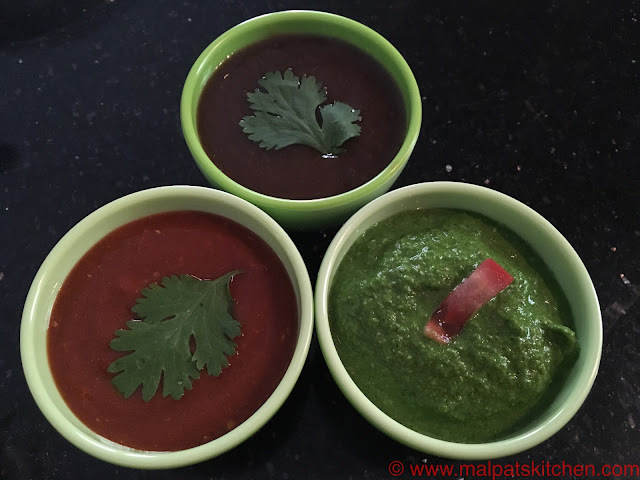 The three essential pillars of the chat cuisine. 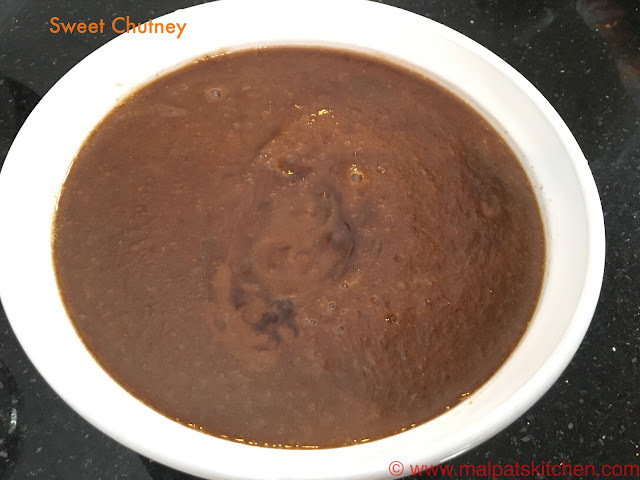 Serve this sweet chutney , very sweet, un udulterated by the flavors of chat masala, black salt or dry ginger............. and at the same time, healthy. * Can be refrigerated for almost 2 weeks and used.